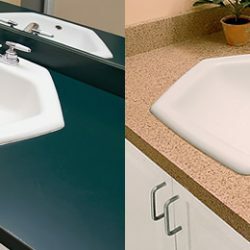 From outdated bathroom vanity styles, to hard water stains on your vanity sink, to lifeless tile countertops that could use revamping, our resurfacing experts have you covered. 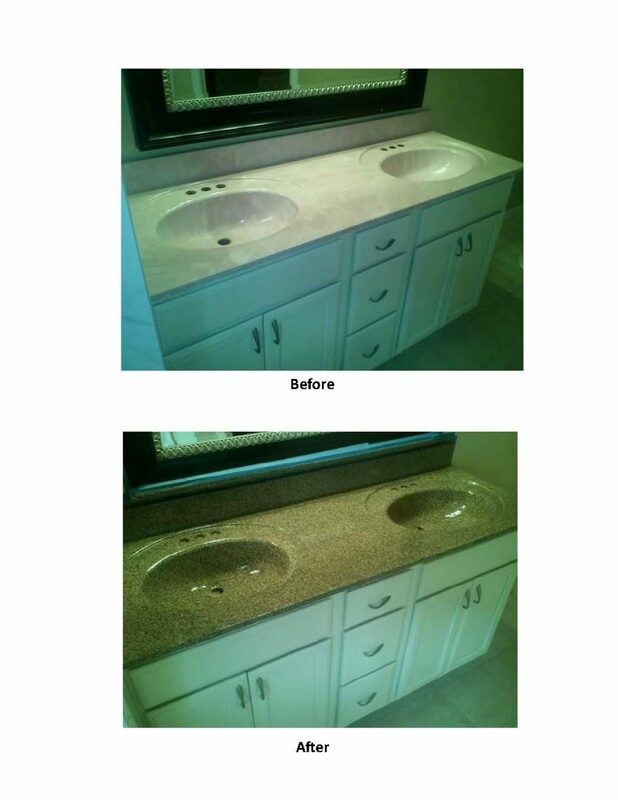 At Expert Resurfacing, our team specializes in bathroom vanity resurfacing which can significantly improve the aesthetics and integrity of your home. 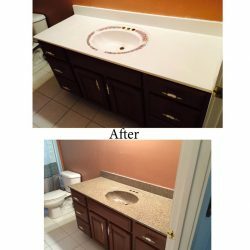 Vanity resurfacing is a cost-effective way to upgrade your bathroom vanity at a fraction of the cost it requires to completely replace a vanity. 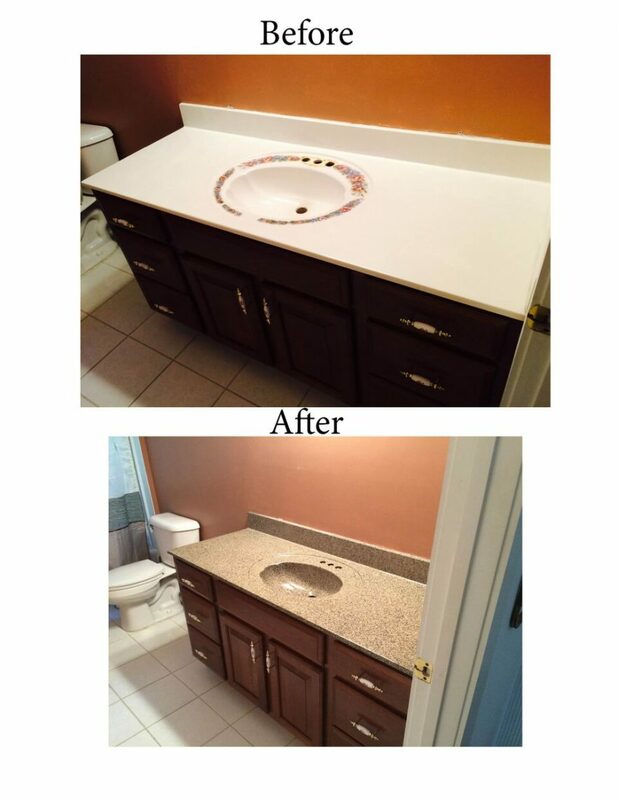 At Expert Resurfacing, we are the Tidewater area’s trusted source for exceptional customer service backed by unmatched vanity resurfacing expertise in countertop resurfacing, porcelain bathroom resurfacing, and more. Our stellar resurfacing services can completely transform a home’s appearance, while also enhancing the value of a home. We offer a variety of multi-spec options for resurfacing your vanity to bring an entirely new, modern look to your bathroom. Our revolutionary resurfacing products have a four-hour cure time which exceeds most 24-hour turn-around times promised by the competition. 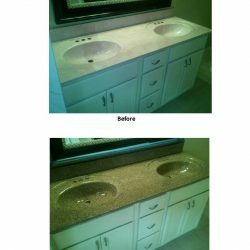 Using the best equipment, the highest-quality products, and resurfacing skills which come from years of experience in the resurfacing industry, our vanity resurfacing exceeds that of our competition. 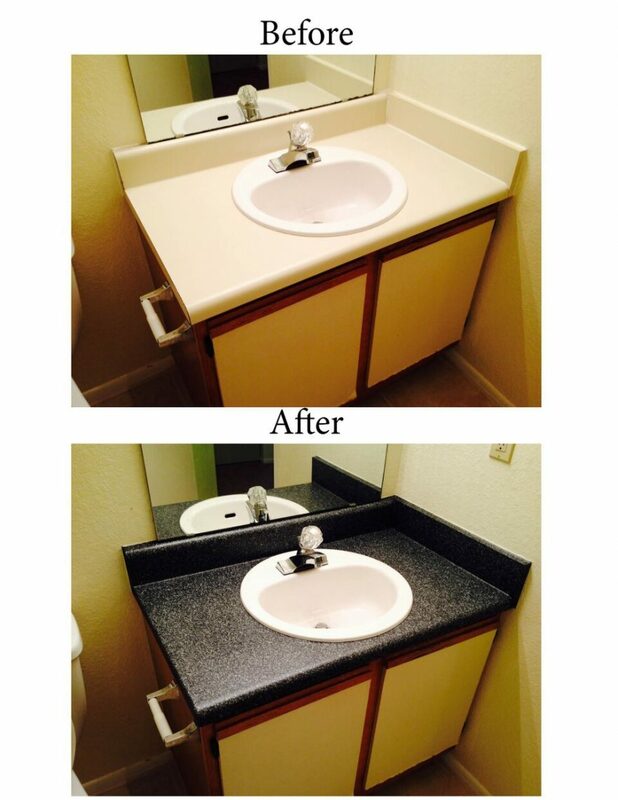 Rejuvenate every inch of your bathroom vanity with new countertops, a shiny porcelain sink, or sparkling vanity tiles. 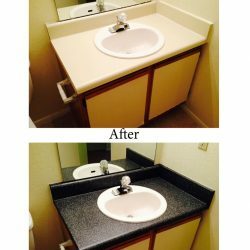 In fact, vanity resurfacing does more than just improve the appearance of your home; resurfacing your bathroom vanity can provide years of clean surfaces, thus extending the life of any size bathroom in your home. 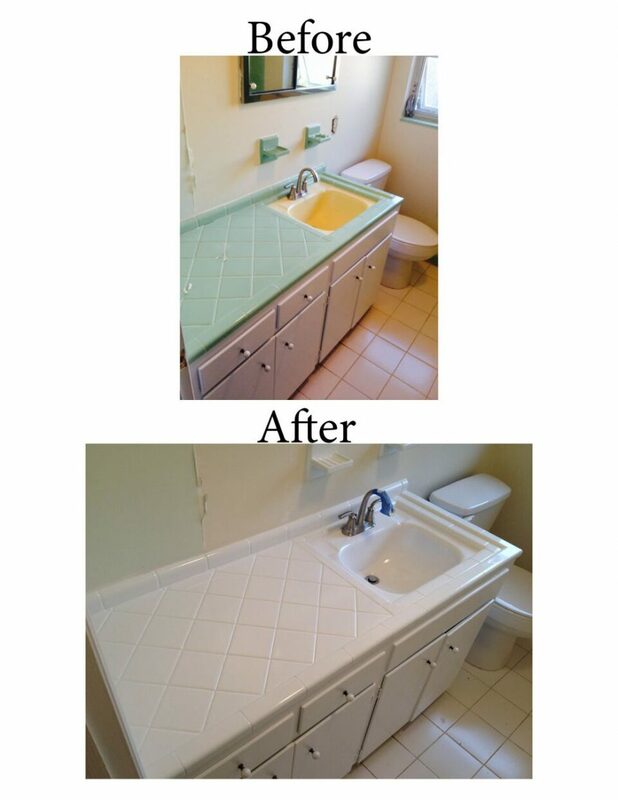 Don’t rely on just any vanity resurfacing company; hire the experts who will get the job done efficiently. 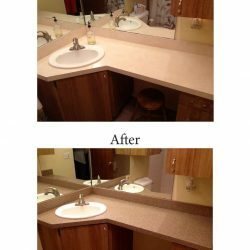 Our resurfacing team provides exemplary service and superior workmanship to ensure that the homeowner gets the stylish vanity upgrade they want, and at an affordable rate. At Expert Resurfacing, Chesapeake’s Top Rated Local® resurfacing company, we have “expert” in our company name for a reason. We strive to provide exceptional customer service backed by an uncompromising dedication to excellence when it comes to our vanity services. We work closely with each and every client in the Chesapeake, Norfolk, Hampton Roads, and Virginia Beach areas to ensure their 100 percent satisfaction. 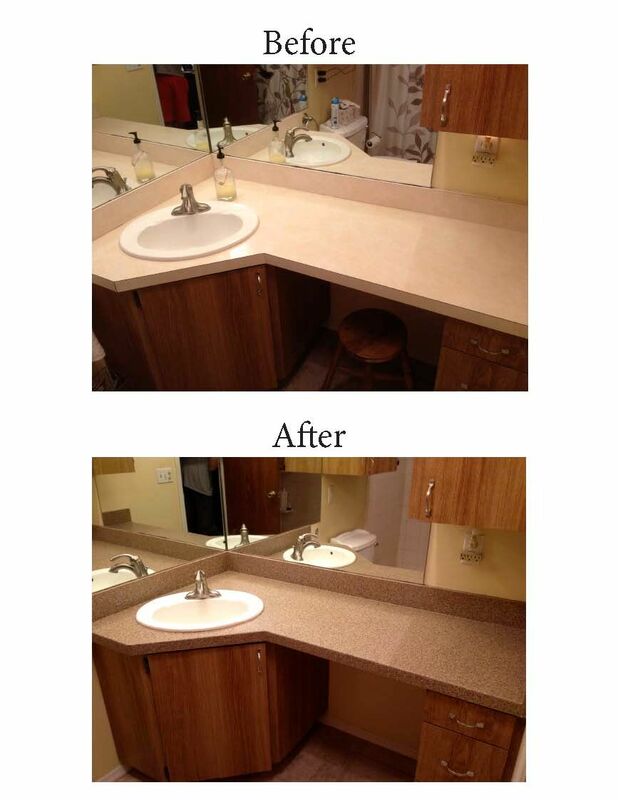 Contact our team today or fill out our online form to request an estimate for bathroom vanity resurfacing services. 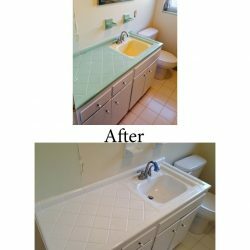 Also, explore more of our resurfacing services, including our bathtub resurfacing, countertop refinishing, and more, all of which can restore the surfaces on your home to look like new. Call today and discover the difference with Expert Resurfacing!